Varun had earlier confirmed Shraddha Kapoor and Nora Fatehi will be joining the gang. It appears director Remo D’souza’s next dance movie is a go, with actor Varun Dhawan making the announcement through a video on his Twitter page. The movie, which is yet to be titled, was only mentioned as number 3 by Varun. It had earlier been reported that filming will start in Punjab from January, and looking at the clip, it definitely seems that there is where they are headed. 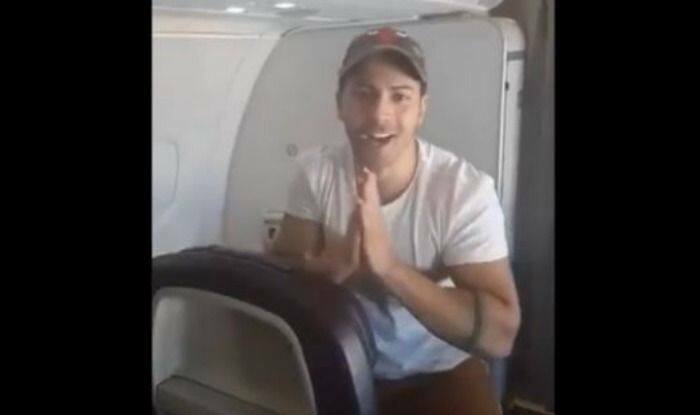 The video, which was taken in plane, showed Varun travelling with Remo, chairman and managing director of T-Series, Bhushan Kumar, and actress Sonam Bajwa. Varun can be heard talking about the film, as well as seeking blessings. Varun, who had earlier confirmed that actress Shraddha Kapoor would be the leading lady, had also shared a picture on his Instagram page that was taken at the Golden Temple in Amritsar. This will not be the first time that Varun, Shraddha and Remo are working together, as in the past the trio did take part in blockbuster movie ABCD 2. When the movie was first announced, it was actress Katrina Kaif who had been chosen as the leading lady, but due to her prior engagements, she was replaced by Shraddha. Actress Nora Fatehi is the other star who will be joining the gang. As per reports, the rest of the shoot will take place in London, and just like movie ABCD 2, this one too will involve a lot of dancing.